Lay out your red dress, dust off your red heels, or press your red blouse, in February we recognize National Wear Red Day for heart health. Why should you wear red? According to the National Heart, Lung and Blood Institute,Coronary Heart Disease is the “#1 killer of women in the United States.” The National Wear Red Day’s goal, which was first observed in 2002, is to bring nationwide attention and to raise heart health awareness. The most common type of heart disease in the elderly is atherosclerosis, the buildup of plaque or fatty deposits on the walls of the arteries disrupting the normal flow of blood and oxygen throughout the body. Depending on where this blockage or buildup is located, it can be serious and even lead to a heart attack or stroke. 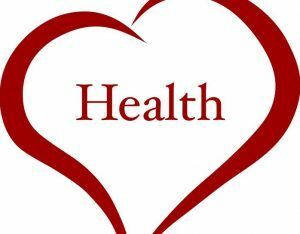 Heart disease is not a normal part of the aging process and can be prevented with a healthy lifestyle. According to the American Heart Association, women are more likely to experience the other symptoms associated with a heart attack and may not have any chest pain. And these additional symptoms can be easily confused or rationalized as something other than a heart attack. Those who experience nausea and lightheadedness may simply think that they have a touch of food poisoning or the flu. Some women who experience cold sweats, irritation, and shortness of breath may think these are symptoms of hormonal changes or just “feeling their age.” Females or caregivers of elderly women need to be especially vigilant about these symptoms of a heart attack. Don’t downplay symptoms but seek immediate help. At Aegis Living, we support our senior residents with a healthy lifestyle to help prevent heart disease and reduce stress. We provide exercise and activity programs to meet the physical limitations of our residents and encourage participation. We provide nutritious and appetizing balanced meals for healthy eating. Our nursing staff monitors the health and medications of our residents. Without the daily duties of maintaining a household, our residents are less stressed and feel free to enjoy their relaxed time with friends and neighbors. Tour one of our communities today!